In July, Roger Federer and Garbine Muguruza will seek to defend their Wimbledon championships against Rafael Nadal, Andy Murray, Serena Williams, and other great pro tennis players. Whether you’re turning in from the US, Canada, Germany, Australia, or the UK, you can watch Wimbledon 2018 free and live online through Kodi. Kodi is an open-source media player developed by the Kodi Foundation. It allows users to stream TV shows, movies, and music without a web browser. It can also play files stored on the device it’s installed on. Kodi can be installed on the Apple TV, Amazon Fire Stick, PC, Mac, Nvidia Shield, or Android or iOS smartphone. Whenever you stream video online or through Kodi, you should always use a virtual private network (VPN). A VPN helps to protect you from man-in-the-middle attacks, buffering caused by ISP speed throttling, and geographic content blocks by streaming sites. It helps to keep your online behavior private and your personal information secure. Unfortunately, not all VPNs are well-suited to users who stream video. Most don’t have apps for TV devices. This makes installation overly complex. Some VPNs don’t have servers in enough countries to get around geoblocks on popular video-streaming sites. Many VPNs keep logs of users’ activity. These logs could provide personal information if they got into the wrong hands. Because of these problems, we at Comparitech recommend IPVanish for streaming-video users. It is one of a select few VPN services with apps for both the Amazon Fire Stick and Nvidia Shield. It has hundreds of servers in over 60 countries, making it easy to bypass geoblocks on most streaming-video sites. IPVanish also has a strict policy against keeping any logs. 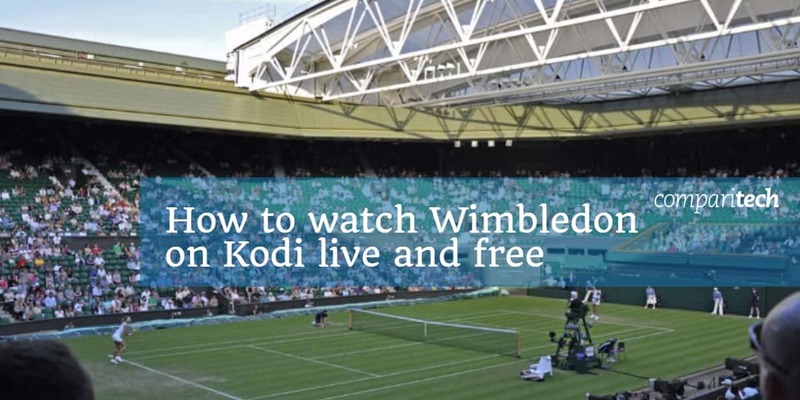 Using Kodi, you can watch Wimbledon 2018 live through Kodi. Here are your best options to catch every bit of Wimbledon action. The BBC iPlayer is going to be the best option to watch Wimbledon 2018 live online through Kodi. 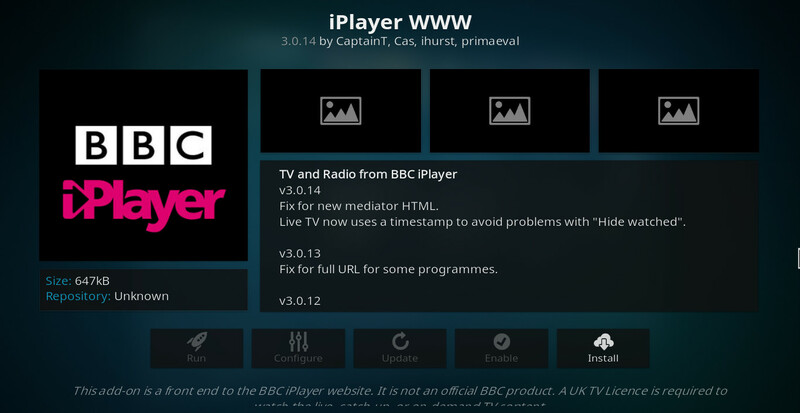 This addon provides users with a direct connection to BBC’s iPlayer streams. The iPlayer WWW also does not require any login information and avoids a lot of the excess menu clicking that you have to suffer through on the web browser. That said, the iPlayer is still only available for UK residents with a TV License. The service does not double check to ensure you have one, but by law, only UK residents who have a TV License can view BBC iPlayer streams. If you’re traveling from the UK, you can view the iPlayer’s content through Kodi from anywhere in the world. Unfortunately, IPVanish will not work with the iPlayer, either through Kodi, or any other medium. However, you can use ExpressVPN to unlock the BBC iPlayer. ExpressVPN is our recommended alternative for the iPlayer as it works well, maintains a high level of encryption and user protection standards, and ensures you won’t deal with buffering or bandwidth issues while connected. If you have a subscription to an over-the-top “skinny bundle” TV service, such as Sling TV or DirecTV Now, you can use the ESPN3 Kodi addon to access all of the matches through ESPN.com. The first time you try to play a video using the addon, you’ll be asked to register your device using an onscreen code and your TV service’s login credentials. 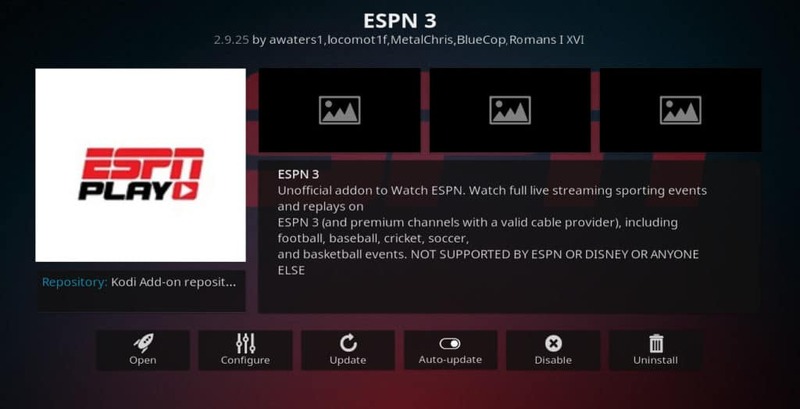 The ESPN3 Kodi addon is in the official Kodi addon repository. Here is how to install ESPN3. If you don’t have a subscription to any premium service, you can still watch ABC’s time-delayed streams of Wimbledon through the USTVNow Kodi addon. The “encore presentation” of the second week of the tournament will be streamed July 9th, and the semifinals and finals will be shown July 13-16. 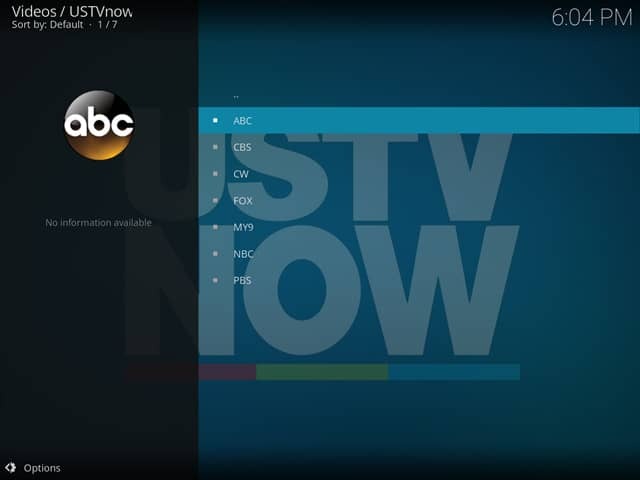 USTVNow is in the official Kodi repository. Here is how to install USTVNow for Kodi. If you don’t need to watch Wimbledon in English, Switzerland’s public broadcasting company delivers great free content. 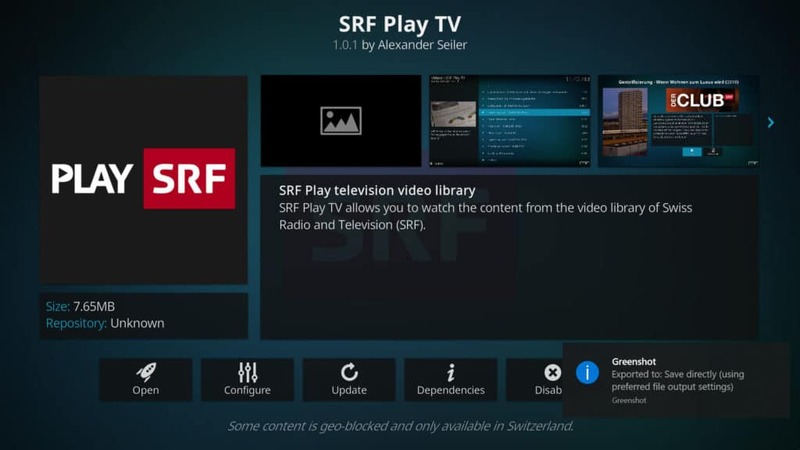 There are two Kodi addons for you to consider here: RSI.CH Play or SRF Play TV. SRF Play will broadcast in German, while RSI.CH will broadcast in Italian. Either option will get you live streams for free, so long as you’re connected to a VPN. You can also download both options free and directly from the Official Kodi Addon Repository. If you want to see the BBC version of Wimbledon coverage, the best way to access it through Kodi is with the Zattoo Box Kodi addon. 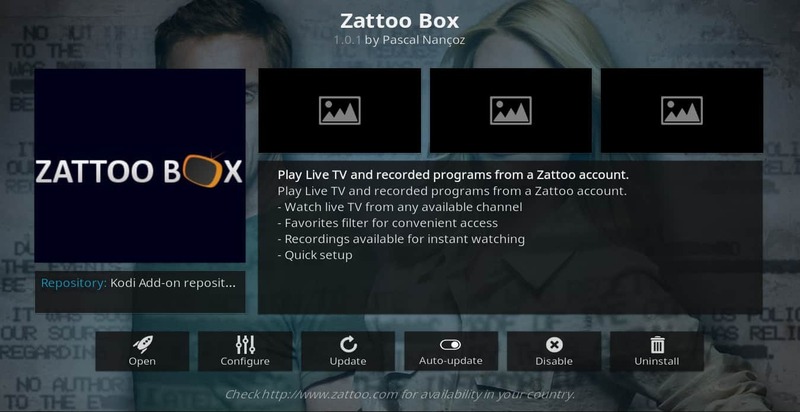 Zattoo Box is part of the official Kodi repository. To install, select addons from the main menu, then click download → video addons → Zattoo Box → install. When it finishes installing, right-click the addon and choose information. This will bring up the information window. Now click configure and input your Zattoo login credentials. Click OK, then open to bring up the main menu. Wimbledon 2018 promises to be an exciting tournament for tennis fans all over the world. If you want to watch this event online, you have many options, including USTVNow, TVPlayer, Zattoo, PS Vue, Sling TV, and others. If you want to watch using Kodi, this can be achieved by installing the ESPN3, USTVNow, or Zattoo Box Kodi addons. If this article has been informative and helpful to you, you may want to check out some of our other streaming TV guides, including how to watch the NFL, NHL, or NBA online with Kodi.